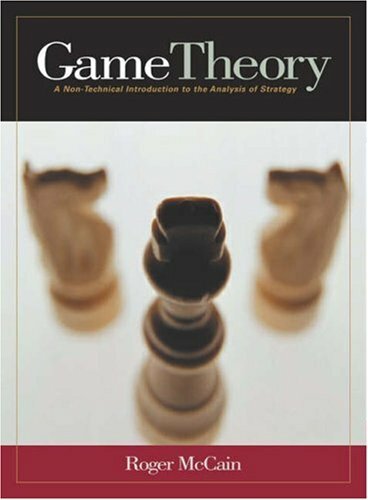 Striking an appropriate balance of mathematical and analytical rigor, Strategy and Conflict: A Non-Technical Introduction to Game Theory teaches by example. While Game Theoretic principles are the same across the board, learners typically relate better to examples from their own fields, and McCain provides illustrations everyone can relate to. This is a textbook on non-cooperative Game Theory with 165 solved exercises. It is intended to be rigorous and it includes several proofs. It is appropriate for an undergraduate class in game theory and also for a first-year graduate-level class. New simulation tools and network analysis have made game theory omnipresent these days. This book collects recent research papers in game theory, which come from diverse scientific communities all across the world, and combine many different fields. This book is a state-of-the-art look at combinatorial games, that is, games not involving chance or hidden information. The book contains articles by some of the foremost researchers and pioneers of combinatorial game theory.